What can we say about Drome Racers? It\'s a racing game. And it\'s apparently set in a bleak world of flatly rendered polygons -- spooky! This racer is technically not bad, but it lacks the personality to make it one of our faves. Finishing out our trifecta of Third Edition Dungeons and Dragons reviews, Rob takes a look at the Player\'s Handbook, the third and final piece of the core D&D puzzle. An essential part of any D&D session is the monsters. 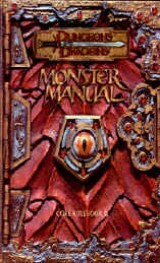 The updated Third Edition Monster Manual is the source for all your enhanced monster mashing needs. Rob has the review. 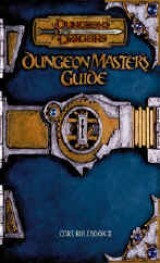 The new edition of D&D rules has been highly anticipated in the gaming community. Not only is this a big deal for pen-and-paper gamers, but it is a big deal for videogames based on the D&D rules set. We called in an expert and got one of our most knowledgable GMs, Robert Rider, to check it out.